- Ford expands its Qualified Vehicle Modifier program to include companies that develop and install electrified and hydraulic hybrid powertrains for commercial vehicles, retaining the original powertrain warranty. INDIANAPOLIS, March 14, 2017 – Ford is expanding its Advanced Fuel Qualified Vehicle Modifier (QVM) program to include companies that develop and install electrified and hydraulic hybrid powertrains for Ford trucks and vans. The new eQVM program, unveiled at The Work Truck Show, helps fleet and commercial customers meet their unique and specific needs for durable, reliable electrified and hydraulic hybrid work trucks that retain the original powertrain warranty. Ford is committed to being a leader in electrification. The company is investing $4.5 billion in 13 new electrified vehicles in the next five years. These include an all-new fully electric small SUV, a high-volume autonomous vehicle, a hybrid F-150, a hybrid Mustang, a Transit Custom plug-in hybrid and two new pursuit-rated hybrid police vehicles. The eQVM program kicks off with three developers – XL Hybrids, Motiv Power Systems and Lightning Hybrids. 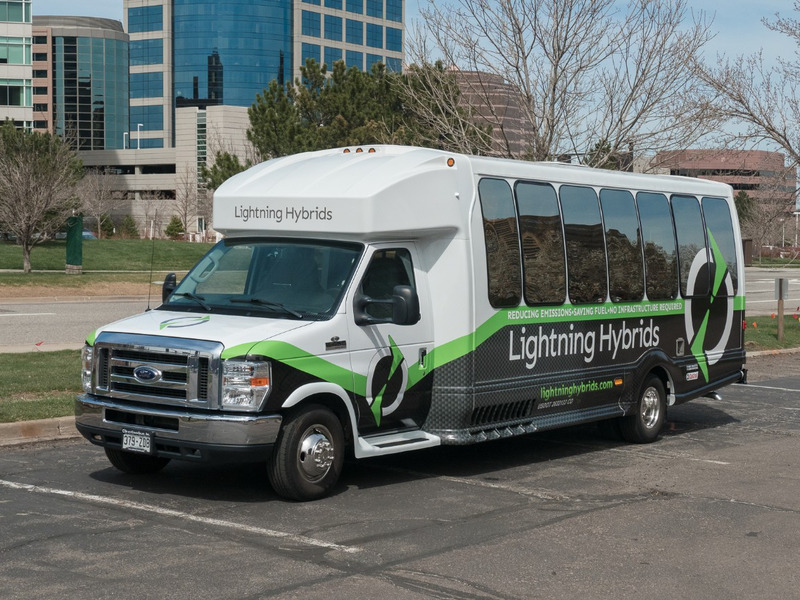 These companies offer electrification or hydraulic hybrid solutions for a range of Ford vehicles popular with fleet and commercial customers, including F-150, F-250 to F-550 Super Duty, F-650 and F-750 medium-duty trucks, Transit and E-Series vans and chassis, and F-53/F-59 stripped chassis. No. 425. Test drive a walk-in van built on a Ford F-59 chassis equipped with the Motiv electric powertrain at The Work Truck Show Ride-and-Drive on Wednesday and Thursday. I am a bit doubtful that the F150 could beat the C-max or fusion in HWY MPG. I likely see results closer to 34/26mpg. XL Hybrids – an undisputed leader in powertrain electrification systems for fleet customers – has announced that its new XLP™ plug-in-hybrid system will find its way into current-generation Ford F-150 pickups starting later this year. Knapheide Manufacturing will perform the upfittings. Both XL Hybrids and Knapheide were recognized as part of Ford’s new “eQVM” – or “electrified Qualified Vehicle Modifier” – program, announced at The Work Truck Show in Indiana last month. Knapheide has been performing installations of XL Hybrids’ XL3® hybrid powertrain system on Ford F-150 trucks for more than three years. The XLP system takes XL3 a step further, adding a recharge port and a larger battery pack. Knapheide will start upfitting 2017 and 2018 Ford F-150 pickups with the XLP plug-in-hybrid system starting in the fourth quarter of this year. Installation will take only a couple of hours, and fleet customers will be able to order the electrified system as a ship-thru upfit, with trucks being sent from the Ford Kansas City Assembly Plant straight to Knapheide’s own Kansas City facility. The XLP system will work with a range of different truck configurations, and won’t require modifications to the factory engine, fuel system, exhaust system, or transmission. Better still, the factory powertrain warranty will remain in effect, and XL Hybrids will warranty its own system for 3 years/75,000 miles. Of course, Ford is set to release its own hybridized Ford F-150 pickup by 2020. Either way, fleet customers looking to slash refueling costs and improve up-time have their options. do you work for Ford?